Here at Magnum Contracting Group, our team of Garden City roofing and remodeling contractors are here to assist you with all of your home improvement and remodeling needs. Our team of professional roofing contractors have the knowledge, experience, and expertise to provide you with the absolute best service in the entire area. No matter what the job, our team of professionals will always work their hardest to make sure that all of your goals and needs are fully realized in the final product of your work. Over the years that we have been serving Garden City and the surrounding areas, we have built a reputation of trust and quality among all of our customers. Customers know that when they hire our roofers and remodeling contractors, they are getting a team that takes pride in a job well done, and a team that is going to respect the fact that the home they are working on is important to someone as both a major investment, and as their home in general. We treat every customer's home with the same care and respect that we would treat our own with. At Magnum Contracting Group, we are absolutely dedicated to providing all of our customers with the highest quality roofing and remodeling services on the market. When you are looking for a Garden City roofing and remodeling contractor that puts quality work above all else, call the professionals at Magnum Contracting Group. Our team of professionals are always standing by and ready to help, whether you just have general roofing or remodeling questions you need answered, or you are looking to schedule service. From roof repairs to kitchen remodeling, we can handle it all. Here at Magnum Contracting Group, we are proud to offer our services to all residential and commercial clients. We are an experienced and skilled team of professionals, and we are able to service any type of roof in any stage of its life. 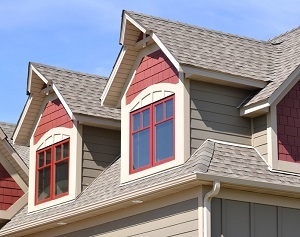 We handle everything from roofing installations, to inspections and repairs, and even full on replacements. We specialize in all of the following. The kitchen is one of the most important rooms in your entire house. Between family gatherings on special occasions and just generally hanging out with each other after school, work, etc., your kitchen sees a lot of use. As such, it is important to make sure your kitchen space is designed to fit your specific needs and wants. Our team of Garden City contractors can help you transform your kitchen into the space you always wanted it to be. Give us a call today. If you are looking for a professional Garden City roofing contractor then please call 516-277-2300 or complete our online request form.